Our love for internet is unquestionable, relentless and our logics are governed by the “School of Open Source”. We start every day believing that today Technology will break another barrier and resolve another problem. Our faith lies in the mantra “use technology to simplify life”. Tej has been part of 3 highly successful startups in India. He was also part of the leadership team in FCS, which grew to become India’s leading IT Services Company with global footprints. FCS IPO listing is the second most oversubscribed IPO in the history of India, which was followed by a $60 mn GDR. He has spearheaded off-shore development centers for fortune Co’s like Canon, GE Advance Material and Credit Suisse. 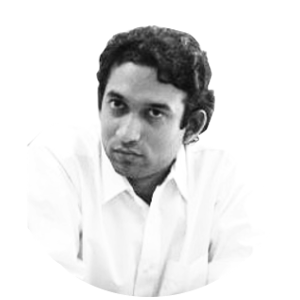 In 2012 he cofounded ideaPot, a well funded Edtech company providing mobility based education solutions. He is the chief mentor and strategist at VAYUZ, providing strategic direction to the company. He is hands-on with the product and has the rarest of the ability to translate an idea into a full-blown ecosystem within minutes. And then breaking down the ecosystem layer by layer to identify gaping holes. He christened this approach as “Kill the idea”, which he later published as a blog post on LinkedIn and it became a trending blog in the Tech space. He lives by the principles of Plan Well, Respect Time and Delivers Quality, these principles form the core of our Center of Excellence model. He also founded the theory “building a Horcrux”, which is an incredible journey which a business should take to develop an immortal product. Poo has a story to share, a really larger than life story to share, a story which should inspire a generation of girls to achieve more. Hopefully, she will share this story sometime soon. She was a national level athlete, hockey player as well as an NCC cadet before she gave it all up to pursue her professional career. She did her MBA in Marketing from PTU and is a big digital enthusiast. 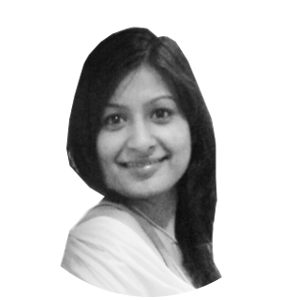 She has close to a decade of experience in Customer Interfacing Management roles in Retail and Technology vertical. She has worked with brands like Pepsico, Pernod Ricard and was also one of the founding members of ideaPot. Poo spearheads business strategy, communication, customer engagements and P & L of the organization. She has an eye for handpicking greenhorn talents and providing them a focused and meaningful journey. A hard taskmaster, she is both the clockmaker and clock master in VAYUZ, who ensures that everyone works as per a schedule and stays on top it at all times. Her consultative approach to handle customer engagements is one the main reasons why our Product Engineering Team gives paramount precedence to business goals. She is not risk averse and would go a thousand miles to find the right answers. Her never-ending enthusiasm to identify “what is my 100%” drives the entire organization to strive for more. Aki is very passionate about Product, Technology and Data. He has done his BTech, MTech in Computer Science from LPU and has written papers on the Internet of Things. Before jumping into the world of Product Development, he spent his initial professional years teaching subjects like AI, Pattern Recognition and Data Science.As a subject matter expert, he is responsible for translating the vision of a project into an intuitive and robust solution. 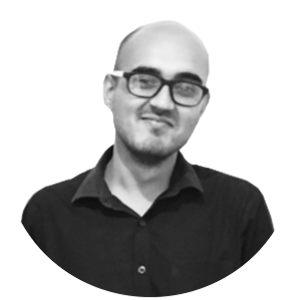 He works closely with our customers, managing the entire development journey starting from conceptualization to tech stack identification to final release. His solution workshops with the customers walking them through every single detail to develop a compelling product have always received rave reviews. He is also one of the key custodians of the “Center of Excellence” model at VAYUZ. Kartik is a true PetrolHead and loves anything that burns fuel. He did his Bachelors in IT from Bhartiya Vidyapeeth, Pune followed by Masters in Computers from Mumbai University. 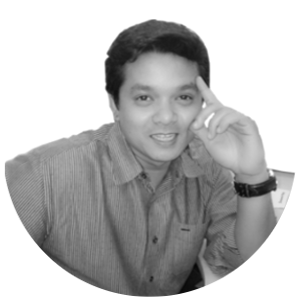 He is a Microsoft and an Oracle certified professional and has written large chunks of codes in JS. This unique combination of Technology and Business, enables him to add value to an engagement even before it has become official. He is an ex-Microsoft, who was handling their North American region. Kartik spearheads all Customer and Partnership Engagements at VAYUZ. He enjoys working with technology and technology-enabled companies and considers their success as his success. He is an ace with capturing market intel and presenting them in vibrant forms and formats, “Insights” on VAYUZ platform are largely his creation.